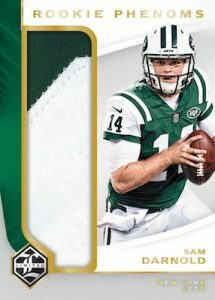 2018 Panini Limited - Football Card Checklist	Overall rating:	3	out of 5 based on 1	reviews. 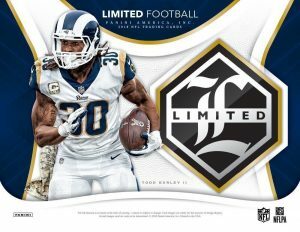 2018 Panini Limited Football is a premium style release at a mid-range price. Each box offers 3 packs and each pack has 1 hit in it. 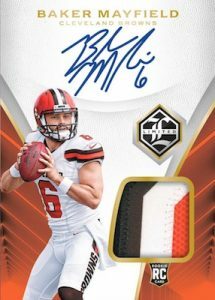 The highlight of the release is the Rookie Patch Autos, but there are numerous other nice sets, including a 6 player autograph booklet, and the Ring of Honor autos which offers some big name players. 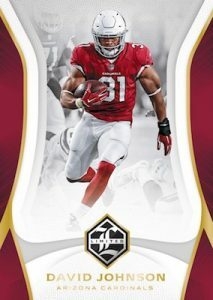 Each box of 2018 Panini Limited is expected to offer 1 RPA, 1 auto, and 1 memorabilia card, as well as some base and base parallels. For a full team-by-team breakdown of the hits, be sure to checkout Breakninja.com.